Offer Expires On September 30, 2017 at 5:00PM PST. You can reshape your body! We will develop a customized CoolSculpting treatment plan that addresses your problem areas. Your individualized treatment plan will be tailored to your body, your goals, and your budget. A team of scientists discovered that fat may be reduced simply by cooling it, because fat cells freeze at higher temperatures than surrounding tissues. The CoolSculpting device precisely targets these fat cells and delivers a controlled cooling effect that crystallizes them. The fat cells die, and over time your body eliminates them. A session is as short as 35 minutes, up to 60 minutes, making it quite possibly one of the best-used hours of your life. Many report feeling a burst of cold air, followed by dull pressure. During their session, some guests read, get work done – or even sleep! 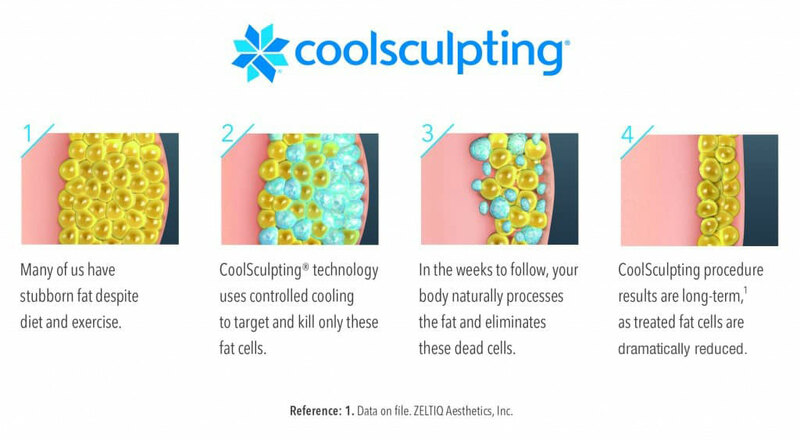 CoolSculpting® uses controlled cooling to target and freeze away fat cells. Developed by scientists at the Wellman Center for Photomedicine at Massachusetts General Hospital, it’s the only FDA-cleared fat freezing technology. 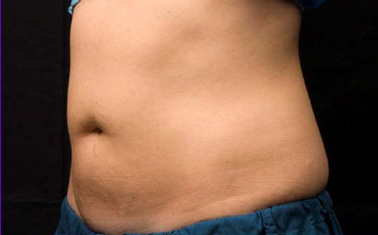 The treatment is safe on your body – but tough on stubborn fat. Our staff members are very familiar with the process, and can even give you insight into the amazing results they’ve experienced first-hand.